Make no mistake about it – self promotion is BIG in today’s society. Oh, it’s always been big, but it seems to be particularly popular in this era. This, of course, is an age where people are famous…just cuz. Sure enough, talent and ability often take a back seat when personality and showmanship is in play (as anyone who has spent any time in the workplace can attest). When a person has some talent to at least somewhat back up his or her self-promotion, however, it can prove to be a formidable combination indeed. Enter one Keith Thurman. An undefeated welterweight with a powerful shot, speed and a strong ability to put his punches together, the WBA world welterweight champion is certainly worth paying attention to in this (supposedly) post Mayweather-Pacquiao era. 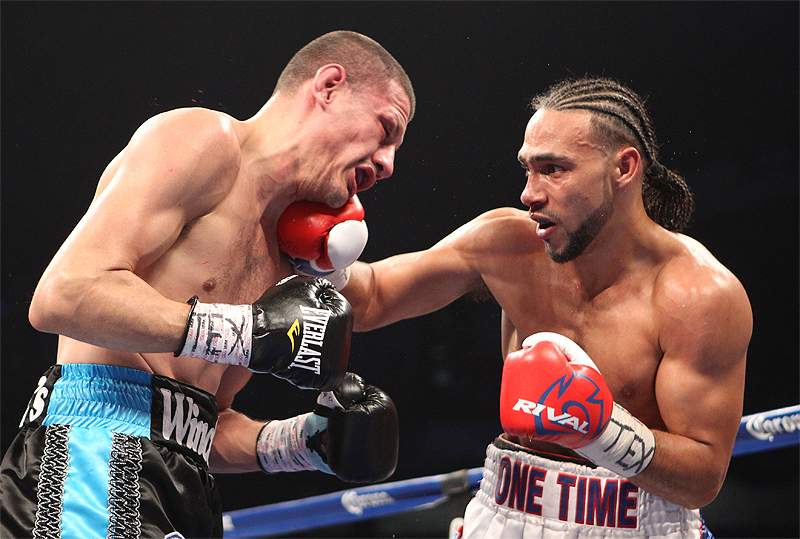 Thurman has another weapon at his disposal, though, one that can greatly fatten his wallet if not his ring record. That weapon? A gift for self-promotion. Although Thurman has nowhere near the fan base of a Canelo Alvarez, or even perhaps an Amir Khan, he’s clearly able to draw the kind of attention that his upcoming opponent, Shawn Porter, simply can’t. Whether it’s donning a musician’s hairstyle, playing a woodwind instrument or driving a hybrid vehicle, Thurman possesses a uniqueness which is seemingly more at home at a Masters of Fine Arts program than it is in the boxing ring. That’s not what really draws the extra attention, though. What really brings in the chatter is Thurman’s mouth – which he employs freely and often frequently. “I love what’s happening in the world of boxing today,” he said recently, “This is a big stage, it’s a big platform, and it’s always been my dream to awaken people, to bring boxing back to the public.” Give Thurman this, he dreams big. As for his upcoming bout with former IBF world welterweight champion, Porter, Thurman has things to say about him, as well. 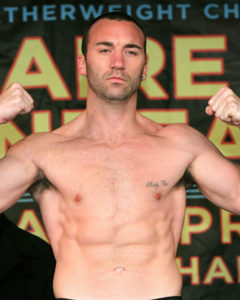 Sure enough, the fighter known as One Time makes is clear he knows Porter will try breaking him down when they meet in New York on June 25th. “The thing is,” Thurman claims, “can he break down Keith Thruman before being knocked out?” You have to love a fighter who refers to himself in the third person (paging Tyson Fury). You also have to give credit to a man who – whether you agree with him or not – goes right out and lets the world know he thinks Floyd Mayweather was a cherry picker. Sure, lots of welterweight fighters probably think Floyd was overly cautious in his choice of opponents, but how many of note come right out and say it? Thurman did, on an extremely popular satellite radio show, no less. Being a provocateur is part of being a self-promoter, after all. Thurman is a bit different from other mouthy types, however in that he isn’t outright mean. Men like Fury, and Adrien Broner can be straight up nasty. Thurman doesn’t go that route. He pretty much sticks to promoting Thurman. And unless Porter shuts him up, you can expect Thurman to keep on talking for quite some time.